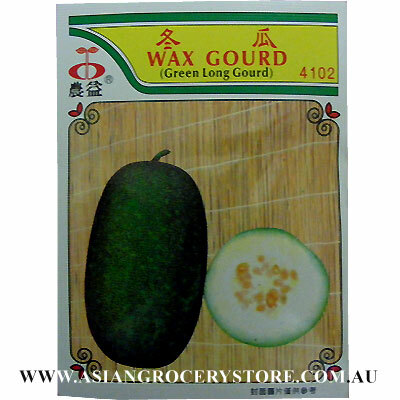 Minimum quantity for "Mirana Beninca Hispida Coga - Wax Gourd Seeds" is 1. Grown for its thick white flesh used for the chinese style soup and for cooking. Shape Fruit 70 - 80 cm long, green skin, suitable planting in autumn and winter. Suitable to plant in sandy soil and should prevent from drought and blight damage.